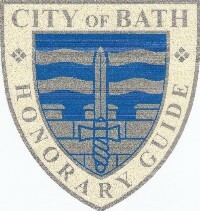 The Mayor of Bath's Corps of Honorary Guides consists of about seventy volunteers who have all undertaken a period of training and passed a practical examination. 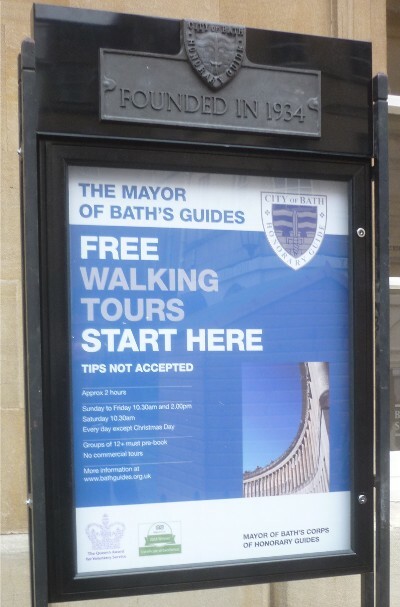 They lead free two-hour walking tours of the City of Bath every day of the year except Christmas Day. 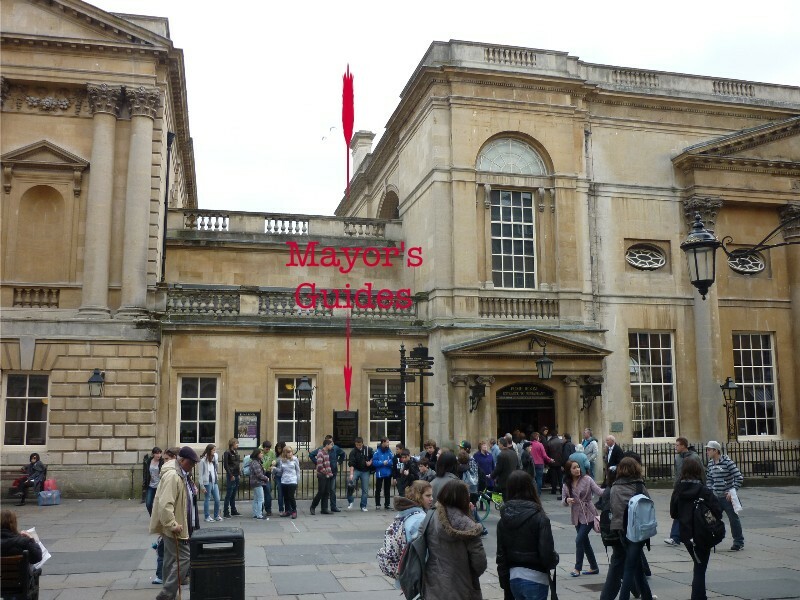 Each guide has his or her own preferred route but all walks start and finish outside the Pump Room in Abbey Churchyard. Walks start at 10.30 a.m. (10:30) and 2 p.m. (14:00) except Saturday, when there is only a morning walk. In the months May to September additional walks start at 7 p.m. (19:00) on Tuesdays and Thursdays.